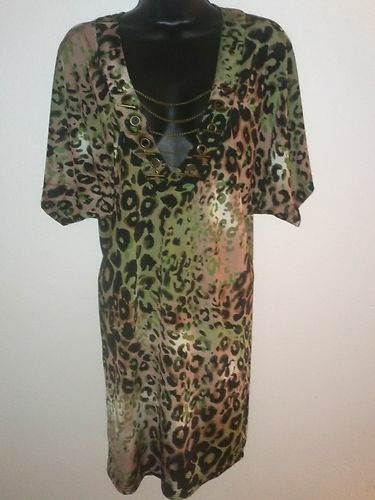 This camouflage color animal print inspired dress with chain detailing is new with tags and can be worn to the club or an outing that calls for a funky style of dress. 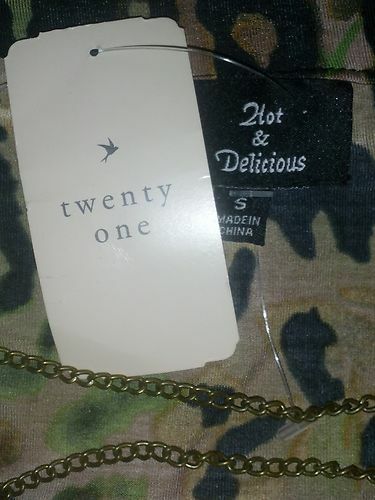 The tag says small, but is really a one size fit all. But will obviously become a little more snug as the size increases from Small to Large. 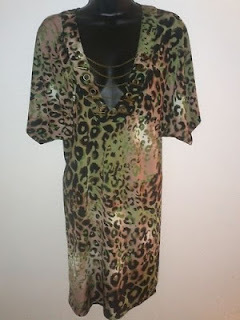 Pair this with thigh high boots or heelless platforms to make a BOLD statement. Price - $22.99 + tax + shipping. 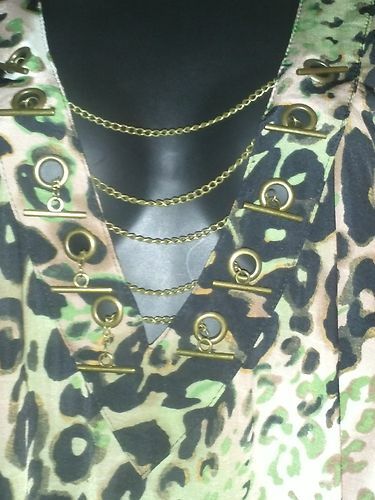 To purchase click the Buy Now button. For any questions on the product or purchase process email imnotonik@gmail.com. Returns will only be considered within 48 hours of package delivery. Please contact imnotonik@gmail.com to discuss any possible return request that may arise. If the return is approved, return postage will need to be provided by the buyer.